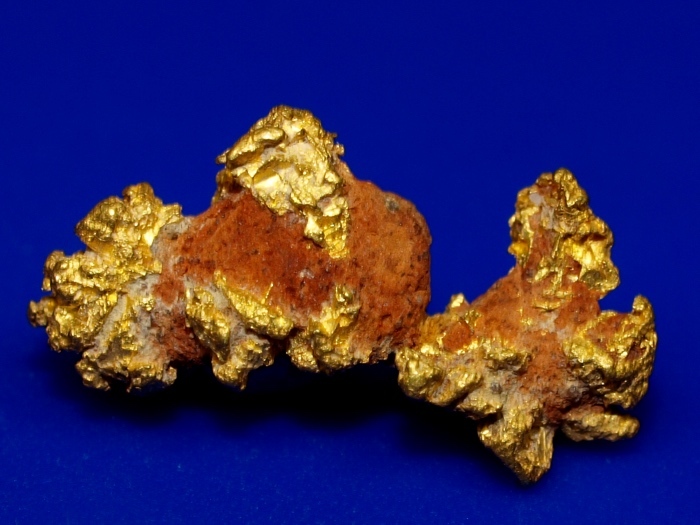 This nice coarse gold nugget was recently found in the Shasta County, California. 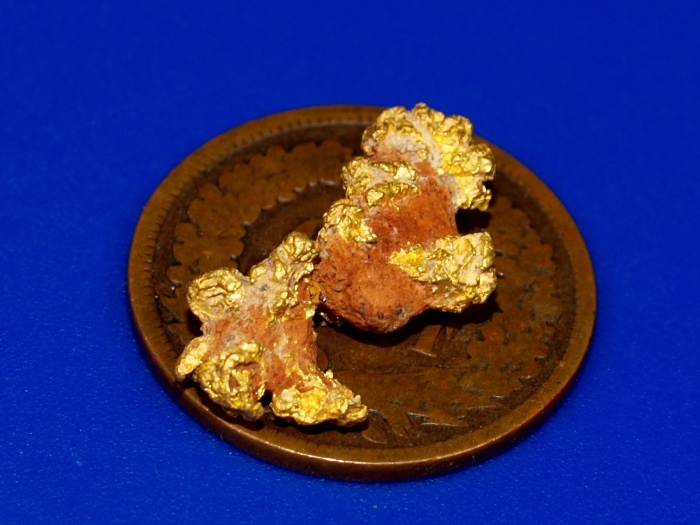 This one is fresh out of the ground, found by a prospector this fall. It has a really cool rough shape with some ancient clay embedded in it. 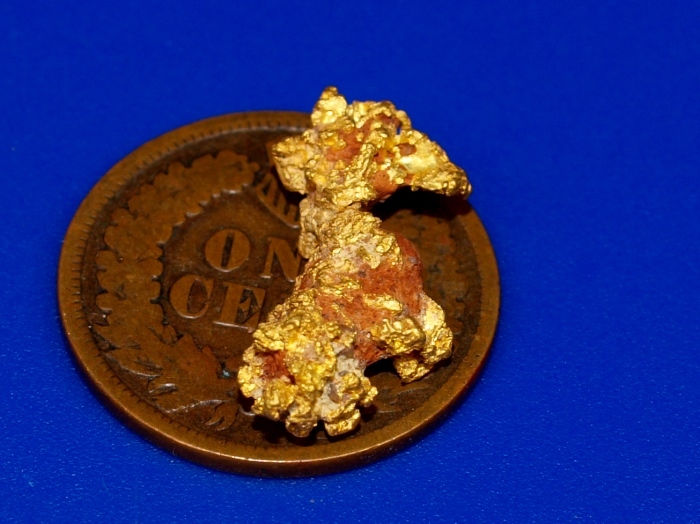 This little specimen weighs 1.89 grams. The penny in the photo is for size reference. It will ship for FREE and comes in a nice display case.